Carrara Venato as it is installed! Here is a real opportunity to see the process at work by a qualified MIA installer. In case you are reading this years later it is around May 11th 2016 and the installers Facebook Page showing the progress is here. Usually we only get pictures of complete jobs put this installer is not only a highly qualified and skilled Marble installer (the type you want to hire hint, hint) but also good with Facebook and Instagram. 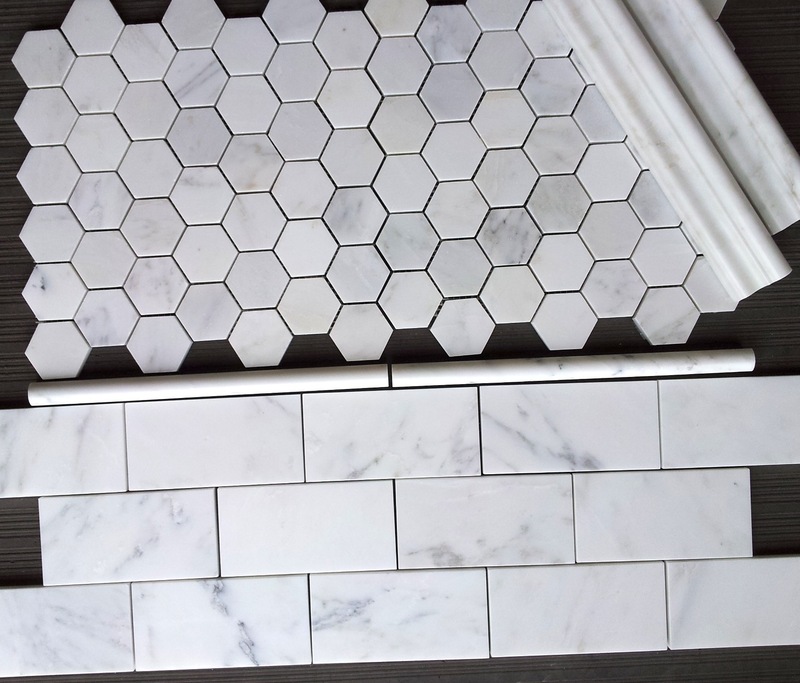 In case anyone is wondering that is Carrara Venato 2″ Hexagon $11.75 a Square Foot • Carrara Venato 3×6″ Subway Tile $7.00 a Square Foot • Carrara Venato 6×12″ Subway Tile • along with some matching trims and pieces from the collection of over 80 choices. The Carrara Venato Collection. The warehouse guys look at each format and try to get the best match with the 8×16″, 3×6″, Hexagon, Pencil and Chair rail. With over one million square feet in stock matching up the formats is an art form. Fortunately our masters of Carrara are great at it. 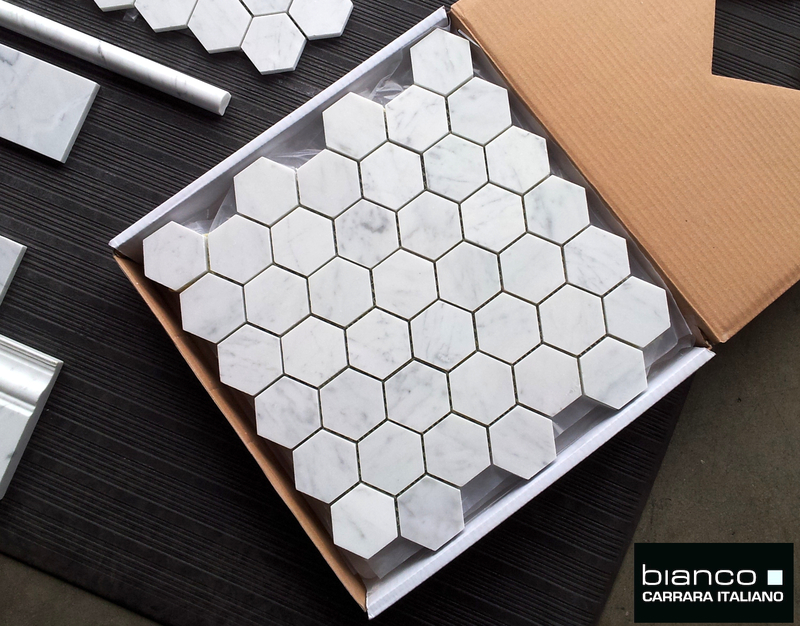 They have done such a good job with matching this shipment it looks like one block Carrara. Incredible! Premium Italian marble. 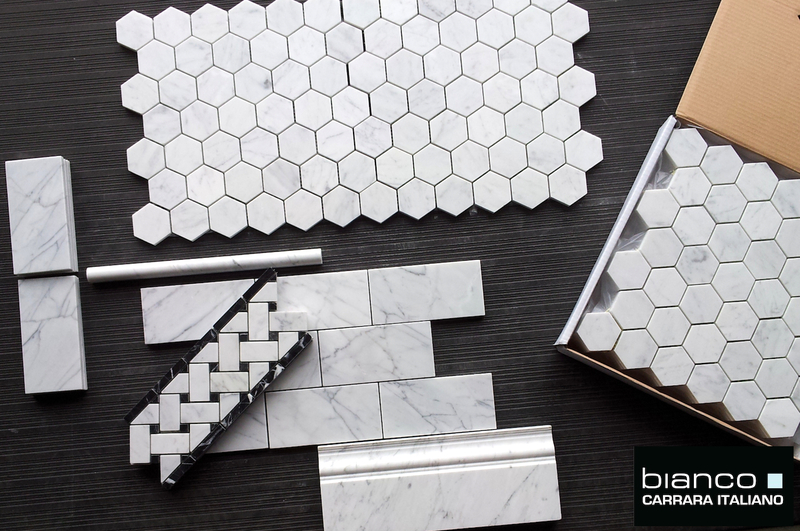 Matching products are vital to any quality bathroom project. At the Builder Depot we can take a picture of your chosen products prior to shipping your order. (This customer chose 2″ Hex, 3×6″ Honed, Baseboard and Pencil. We put this together on our warehouse floor prior to shipping for approval. A perfect match – approved! We shipped). 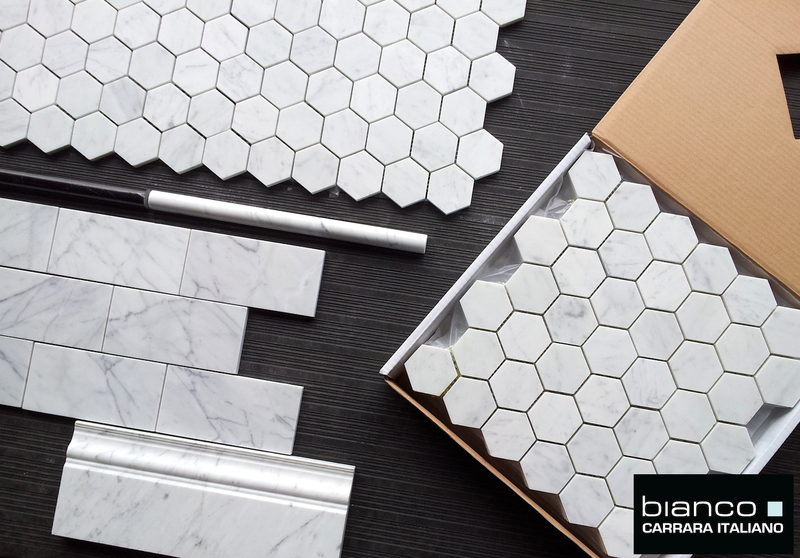 Only the Builder Depot can offer premium 3×6″ Italian marble honed and polished for just $7.50SF. New lot of Venato 3×6″ Honed Subway Tile arrives February 1st 2013. Made to specification with a perfect white base and veining.